1. 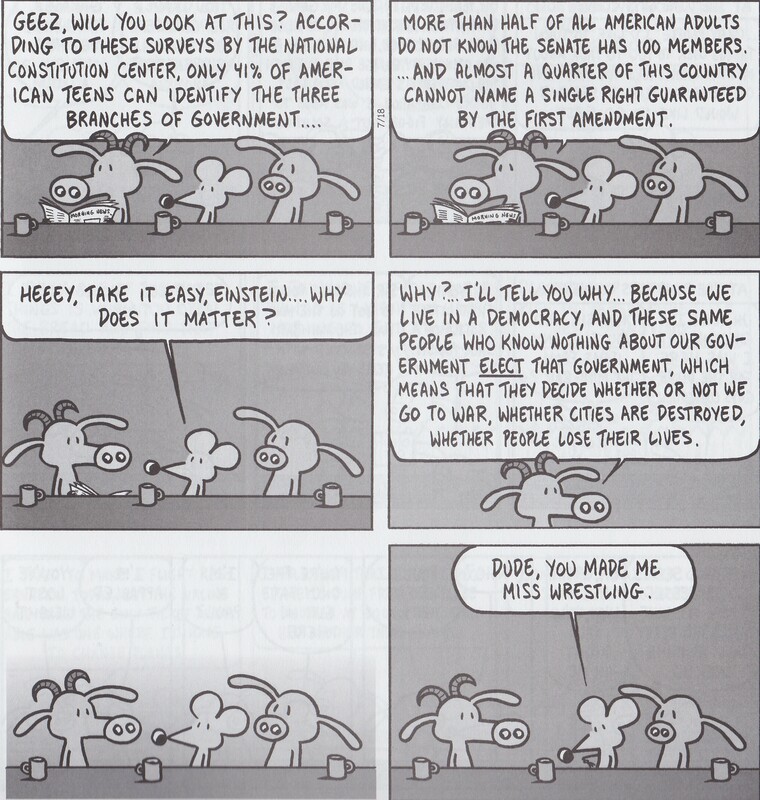 Which one of the following do you think cartoonist Stephan Pastis probably believes to be true based on this cartoon? 2. Do you agree with this assertion? Explain your answer.